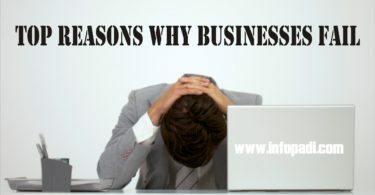 Besides creating a means of livelihood for themselves, entrepreneurs help the society in various ways such as job creation, eliminating poverty to a considerable extent as it aids in lifting the standard of living of any society, it brings in new technology as various innovations are being made and most importantly, creating healthy competition in the market place. The world at large needs entrepreneurs. It is not so easy to start a business but it is crucial for a society to have various businesses running as it sets the standard for the younger generation to not lag behind but carry out various methods of innovating things that would be beneficial to the society. There are so many young successful entrepreneurs out there today who see it as a thing of joy to share with the younger generation tips on venturing in a business and for some they see this as an avenue to correct some mistakes they made when they newly started out. 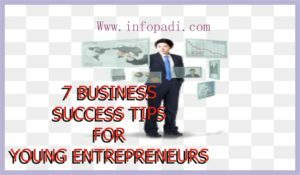 Check out these 7 tips that would help to guide every young entrepreneur ready to take the big step into the world of entrepreneurship. A wise man once said “create a business out of something you love so you don’t spend your life waking up to a job you hate”. Starting a business just because everyone’s doing it will leave you stuck in a pit when problems arise, you might end up not having a direction and it would be quite difficult going back to the beginning, just so you can get it right. When you fail in a business you enjoy doing, picking yourself up will not be an issue because you know success will be yours in the nearest future. This cannot be over-emphasized as it is a grave mistake most entrepreneurs make. Start up with a product or service that will meet the need of your consumers, a product that will satisfy them and keep them wanting for more. For example: a student has no business selling cars if his/her target customers are fellow students. The internet helps to broaden our reach to people worldwide but it’s important to be realistic and stick to what will meet the needs of your local consumers. When your products and services are made affordable at the most basic level, consumers are liable to be interested in the services rendered. When your business becomes a brand name, the prices can always be adjusted. This is a risk an entrepreneur has to take at the beginning. Start out small with products that are easily affordable and when your market grows, the prices can always be reviewed. No known name out there in the entrepreneurial world is known for dishonesty and lies. They have made a name for themselves and honestly met the needs of their consumers without sugar coating what their product can or can’t do. You owe it to yourself, employees and your consumers to be truthful about your product and services else you spoil your brand. It is well known that social media is indeed a powerful tool and with each post you make, it gets to a wide number of users out there. While it is a good strategy for publicizing your business, it is necessary to evaluate results between marketing on social media and face to face marketing, so you know which of them helps your business the most and make the best use of your resources. Like we discussed in number 5, using both the traditional means of advertising and online advertising helps to reach a wide range of consumers. Knowing what will make your product or services new and relevant is essential as you may employ the services of media outlets and bloggers to help publicize your product. The smallest news of your product on a well-read blog with lots of followership will be an amazing form of publicity. If you are a student having your product featured in your faculty weekly magazine and notice board is a great idea. With the likes of Jack Ma, Mark Zuckerberg, Mike Adenuga, Femi Otedola and so many successful entrepreneurs too numerous to mention, the younger entrepreneurs have a lot to learn in the world of entrepreneurship from these experienced men. Their failures, struggles, and successes will help in guiding upcoming entrepreneurs in avoiding mistakes. Networking opportunities brought by various communities for both young and old entrepreneurs helps in enlightening them on how to go about their various businesses. It is a really good opportunity which one is highly encouraged not to take for granted. 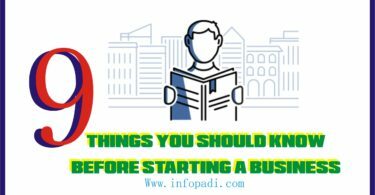 While these tips are not guaranteed to earn you over night success, but the knowledge contained in this article, if properly utilized/executed, it can help you, a young entrepreneur avoid mistakes and record success at the end. Do you have any question or contribution; let us know using the comment box below. Subscribe to our website for more business mentorship and ideas using your email. Subscription is free. Join us and other business enthusiast all over Africa on our social media channels.